Looking for the Q1 2009 release? It's almost ready! All teams at Telerik are putting the final touches on the Q1 installers and builds and getting everything queued-up for deployment on Telerik.com. Expect to start seeing the first wave of products available for download on Telerik.com tomorrow, Wednesday. If there is any change to that schedule, I'll be sure to update you here directly. 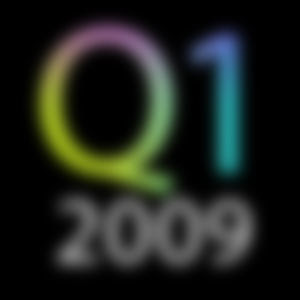 The Q1 2009 release is the biggest in Telerik's history with 7 new product suite releases shipping simultaneously. It's been a huge effort to coordinate all products and get everything ready for the release week, but I think the teams have done an incredible job. While you wait on the bits (please, save your F5 key), check out the up-to-date road maps of what you can expect to find in Q1: What's in the RadControls for WinForms in Q1? What's in the RadControls for ASP.NET AJAX in Q1? What's in the RadControls for Silverlight Q1? What's in the RadControls for WPF in Q1? What's in Telerik Reporting in Q1? What's in OpenAccess ORM in Q1? @Eric & Anon- Sorry for the trouble with the Road Map pages! I thought I checked all links before publishing this morning. It looks like there is an issue with the URLs (too much traffic?). I'll look-in to it and make sure all links work ASAP!